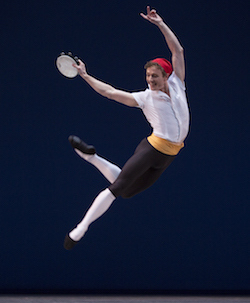 Het Nationale Ballet's Remi Wörtmeyer in 'Symphony in Three Movements'. Photo by Angela Sterling. Dance teachers give, give, give. 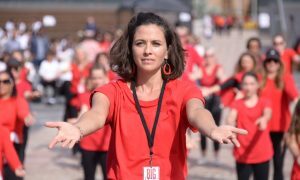 They share their knowledge, passion and joy, which become not only necessary as we grow technically as dancers but also become contagious, as dance becomes such a huge part of our life throughout our training and perhaps into our professional career. And for that, we are forever grateful for those individuals who spend hours in the studio showing us steps, coaching us to make us better and instill lessons we can carry for the rest of our life. Here are just a few reasons why we are forever grateful for our dance teachers. #1. They show us how to dance! Dance is an art form that you can’t learn by studying a book; you need someone to show and instruct you how it’s done. Teachers are the ones who can actually teach us how to dance in the first place! Maggie Kudirka. Photo by Andrew Holtz. #2. Teachers are so knowledgeable. Not only do they know so much about technique and the art form, but teachers are also so generous with their knowledge. Het Nationale Ballet’s Remi Wörtmeyer in ‘Tarantella Pas de Deux’. Photo by Angela Sterling. #3. Teachers teach more than just steps; they show us how to add nuance and style. A dancer without quality of movement, expression and stage presence can be boring. It’s not all about the high extension and multiple turns, after all. Teachers can impart their own experience (and that outside expert eye) on to their students to give them that extra something special. 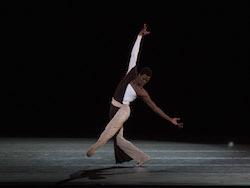 ABT’s Calvin Royal III in Alexei Ratmansky’s ‘Serenade After Plato’s Symposium’. Photo by Rosalie O’Connor. #4. Teachers want to see us succeed. 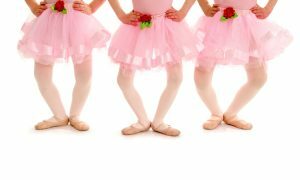 Dance teachers are not only dedicated to teaching dance steps, but they also have high hopes for their students and their success. #5. 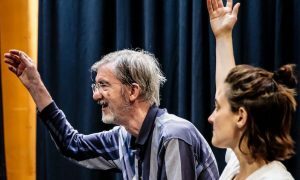 Teachers push us…with love. Just when we think we “can’t” do a step or are struggling with a solo, our teacher gives us that extra nudge of encouragement. Yes, it comes with corrections and notes, but it certainly comes from the heart, and they’re our biggest cheerleader. #6. They teach lessons that go beyond the dance studio. Lessons learned in the studio can take us far in life, whether or not you become a professional dancer. Teachers help instill discipline, passion and a strong work ethic. Simon Plant in Dwight Rhoden’s ‘Duo’. Photo by Ani Collier. What’s your favorite memory of a dance teacher?